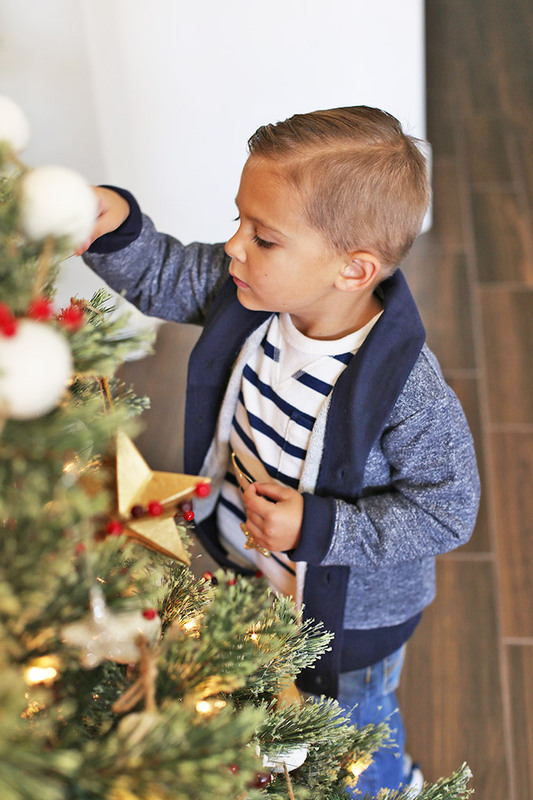 Holiday Traditions for the Family – Here are 8 family traditions we LOVE around the holidays. Everything we love to feel cozy, merry, and bright! This week marks one of my FAVORITE times of the year. We celebrate Thanksgiving, and the holiday season begins! 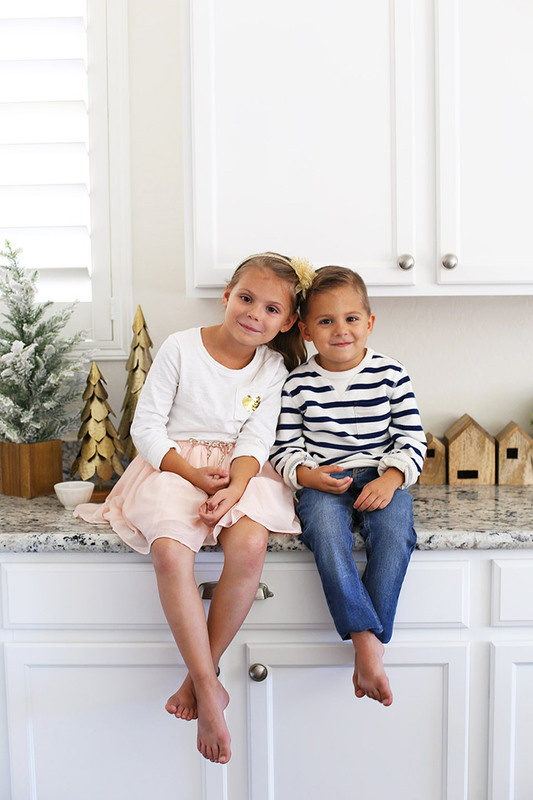 Michael and I each came from families who LOVE this time of year, and it’s been such a fun adventure to mix and match traditions from our families with new traditions created with our own little family. 1. We put up our tree early. 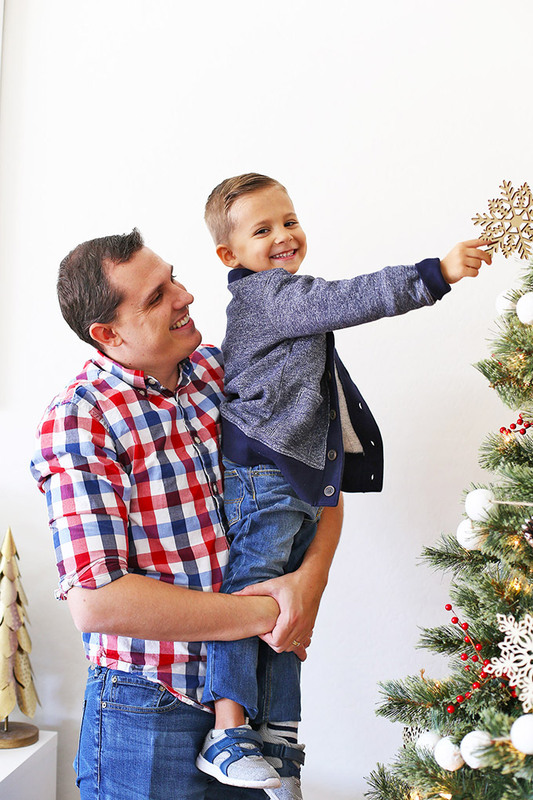 This might be a little controversial, but after our first few years in Arizona, Michael once confessed, “It just doesn’t feel like it’s really Christmas.” I knew what he meant! When it’s still regularly up in the 70s-80s and sunny, it kind of feels like playing pretend sometimes. We’ve started setting up our Christmas tree a tiny bit before Thanksgiving and getting the decorations out early, too. It makes a huge difference! This is a tradition borrowed from my family growing up. We moved a LOT and whether the place we lived had snow or not, we always added the same festive feeling by cutting out paper snowflakes and putting them on the window. Even Milo (4) and Sophie (6) can participate in this tradition. I love the end result of dozens of snowflakes that all look a bit different. The grown-up snowflakes look a little more intricate and they look wonderful next to the adorable, more simple children’s snowflakes. It’s especially wonderful here in the desert, where there’s not a speck of snow to speak of. Our house feels instantly cozy. Even though they’re just made of paper, it really does create that feeling at night of being cozied up in a warm house against a cold, snowy evening. 3. We go on a Christmas adventure. Maybe that’s something like the Zoolights exhibit, or riding a decked-out holiday train. It might just be going out for cocoa somewhere or seeing a special show (like a dance recital or choir concert). But a little adventure is one of our favorite ways to feel special. Last year and this year, that’s also meant a special outfit to wear. With the weather finally starting to change, we refresh everyone’s capsule wardrobe with a few things for this season from OshKosh. 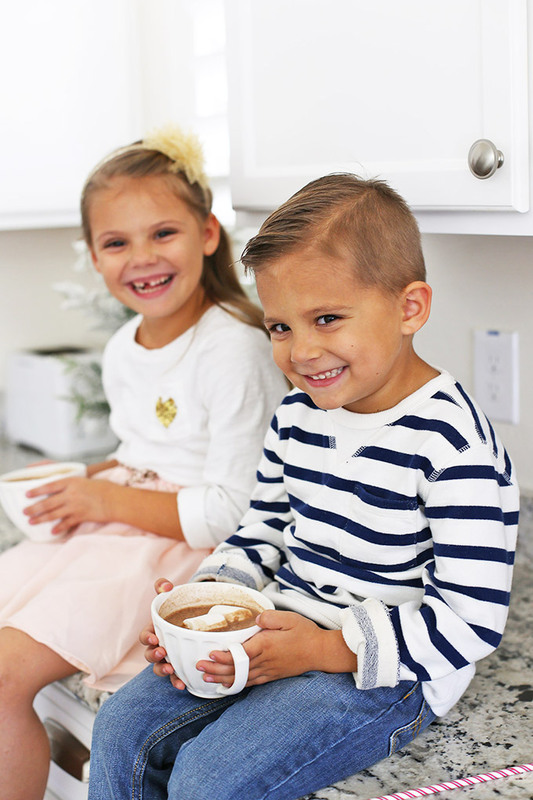 That means a few pairs of jeans and a cozy man-sweater or two for Milo, and an outfit nice enough for Sophie to wear to church or her school performances. 4. We look at Christmas lights. A LOT of Christmas lights. This started when our kids were really little and the 2-hour dinner-to-bedtime struggle was the longest 10 hours of our day. Now, it’s much less about sanity survival and much more about calm, cozy magic. Pretty much as soon as Thanksgiving is over and there are twinkle lights to be found, we will go finding. I pop on a Christmas playlist, and we drive through different neighborhoods in our jammies before bed. Last year, we loved scouting out a neighborhood that syncs their lights to music, and loved wandering through a Zoolights exhibit. 5. We find a way to give. 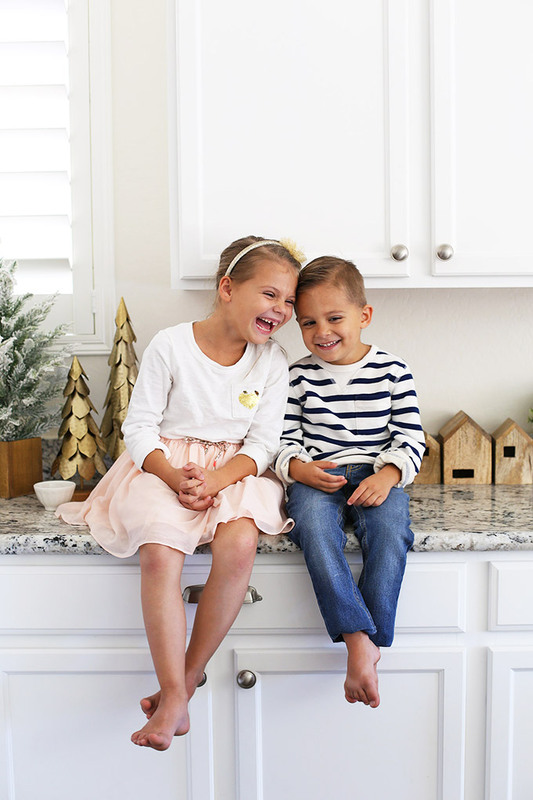 Whether that’s buying gifts for a family that might not otherwise get them, collecting food for a local pantry, or earning and donating money to a charity we love, this has been something wonderful to share with my kids. Last year, we read a children’s book that talked about donating gently used toys for a toy drive. The main character really struggles with what to give, but eventually sees what good he could really do by giving. It was an AWESOME way to have a conversation about children and families whose needs are different than ours and of the joy of giving. It’s a great place to start if you have little ones who need help with the concept! 6. We get new jammies. In our family, we always look for jammies that will last all year rather than Christmas-specific pajamas. OshKosh was one of our go-to resources this year. 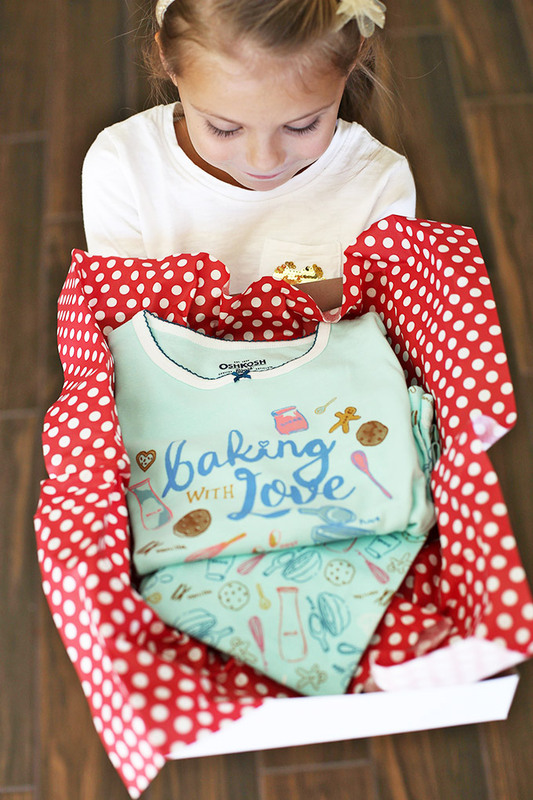 I couldn’t resist these baking pajamas for Sophie (my little kitchen helper), and I loved looking through all the choices for Milo. The quality is great enough to last even with regular wear and tear, which always makes me glad! PS – OshKosh is running their Dash in to Win sweeps on Black Friday and you won’t want to miss it! It’s a great way to stock up on pajamas, dress clothes, or casual basics. The first 100 people to any store will get a gift card worth up to $100! Some stores open Thursday (Nov. 23) and others are Friday (Nov. 24). You can check your local store hours here. 7. We decorate cookies for Santa on Christmas Eve day. Christmas Eve day can feel like it takes FOREVER to get through. One way we broke up the time was by decorating Santa cookies and watching a Christmas movie in the afternoon. This year, I think we might go to the movie theater in the morning for an early matinee and then do cookies in the afternoon. 8. We have a Christmas Appetizer Feast. Our traditional Christmas Eve dinner is my favorite dinner of the entire year. More than my birthday, Easter, Thanksgiving, or Christmas Day. It’s a dinner entirely made of appetizers and light bites. I thought my family was one of the only families who didn’t do a big fancy dinner. Little did I know that a lot of people do a variation on this tradition, including Michael’s family. It was an easy choice to carry on the tradition. In my house growing up, it was things like jalapeño poppers, a cold salad or two, a cheese and crackers plate, mozzarella sticks, chips and dip, etc. Michael’s family added things like hot artichoke dip, homemade rolls, chicken wings, etc. At our house, we let everyone choose a favorite thing, then fill in with a few family favorites (I’m looking at you BBQ sauce mini hot dogs). Some of our favorites are chicken taquitos, a veggie plate with avocado ranch, mini hot dogs, chicken meatballs, a fruit plate, etc. It’s a little mis-matched, but it’s always fun and delicious. My kids love this tradition as much as I do! We do gingerbread houses, deliver plates of homemade goodies, give gifts for the “Angel Tree” at church, have a nice Christmas Eve dinner, and lots of Christmas crafts with the kids! Oh, how fun! Thank you for sharing Shauna! Oh, what a precious life you live! That’s what I kept thinking as I read this post. I enjoyed hearing your ideas, especially the appetizers for Christmas eve dinner. I can see that being really neat and exciting for my girls. 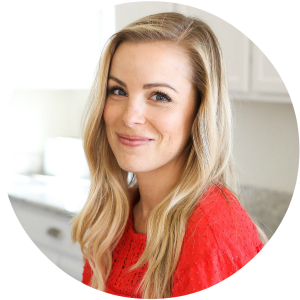 I love this little uplifting blog of yours. Thanks for sharing it with me. Kristen – What a sweet thing to say! Thank you! And Happy Thanksgiving!!! 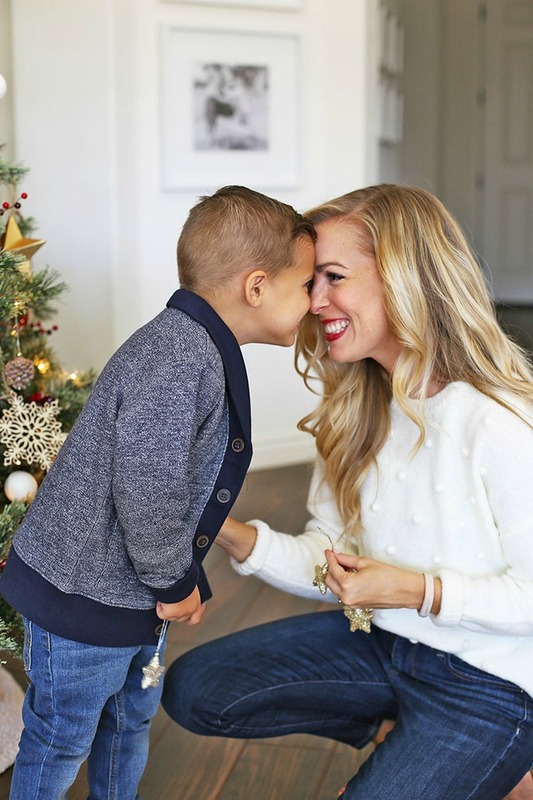 I’ve loved reading your holiday posts, I even purchased quite a few of your stocking stuffers! I took my 2 year old on a drive tonight to look at Christmas lights for the first time and she loved it! 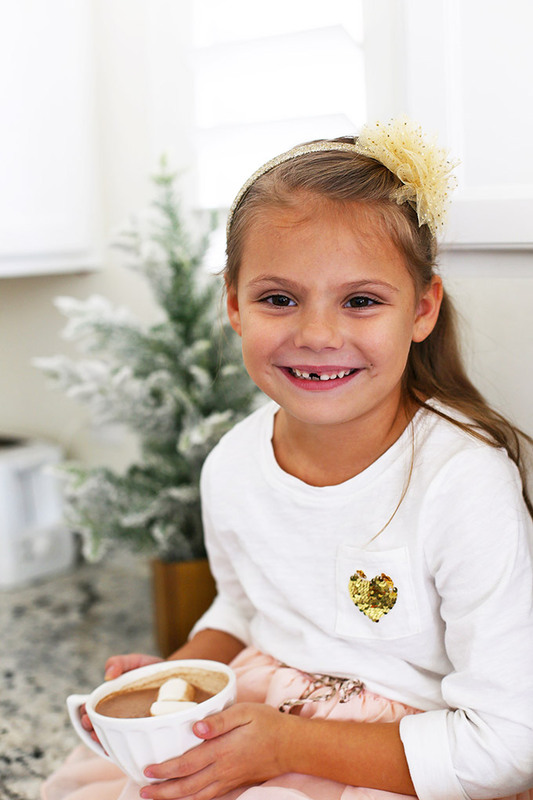 Looking forward to the rest of your holiday ideas, I’ d love any thoughts on how to make New Year’s Eve fun for the little ones. I love this! So many great ideas. 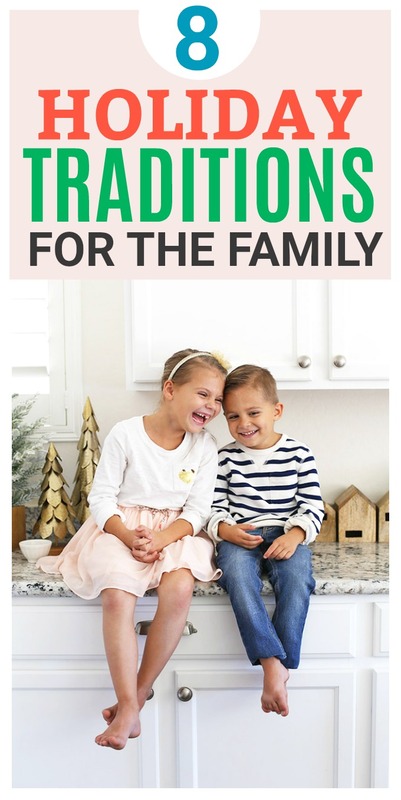 🙂 We don’t have many traditions now and I would love to start some. Could you share what book you read with Sophie and Milo about donating gently used toys? I love that idea. Yes! It was Franklin’s Christmas Gift. Such a sweet story! I love your tree! Where did you get your Pom Pom garland? Thank you! I got it from Target last year, but Hello Maypole has similar poms! We did the appetizer dinner growing up for New Year’s Eve! I always LOVED it! I love all of these! And years ago I read about how you do the appetizers on Christmas for dinner and I convinced my in laws to start doing that, this will be our 3rd year! They always did a big turkey dinner and I hate that where we just had it for Thanksgiving and it is SO much work! Our family tradition, since my dad was young, is my grandma’s clam chowder on Christmas Eve for dinner. It’s the one time of year I eat clam chowder and I love it and love remembering her! Oh, I love reading this. I love that you get to remember her with her recipe!